Yamaha has announced the successor to its MOXF6 and MOXF8 synths, with the introduction of three flagship MODX models. 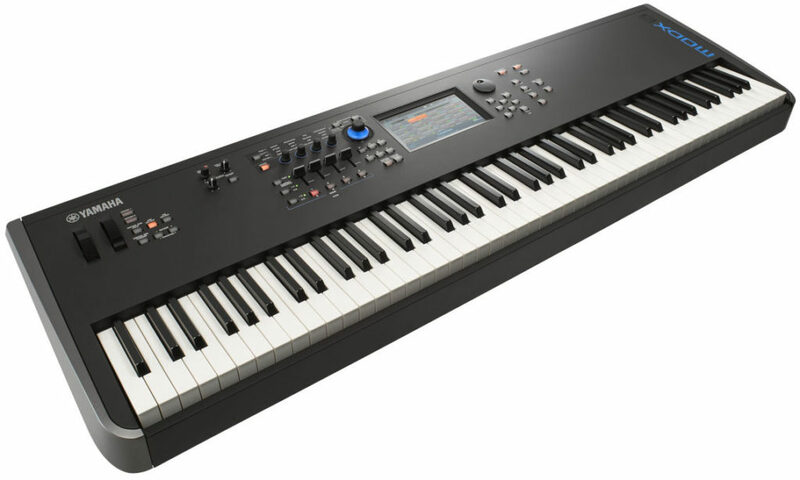 Available as 61 and 76 semi-weighted key models and an 88-key graded and weighted keyboard, these lightweight instruments are designed to appeal to a wide range of musicians, from dedicated synth players, keyboardists and pianists. Yamaha’s MODX sound engine is based on the same technology as that found in the MONTAGE synth, featuring an AWM2 sample and synth engine plus FM-X synth. Together these allow for a wide range of sound design programming and dynamic sound manipulation. During performances, seamless sound switching allows patches to be changed without cutting off existing sounds. Up to 13 simultaneous dual insertion effects and three system effects can be used, with overall polyphony at 128 notes of stereo AWM2 and 64 notes of FM-X. The control panel includes four faders, a multi-function super knob, and touchscreen display. The Super Knob allows simultaneous control of up to 128 parameters in a single performance, allowing for a huge range of possibilities in sound crafting and altering. A motion sequence feature allows tempo-synchronised, customisable control sequences to be assigned to virtually any synth parameter, with dedicated controls on the front panel for live changes on the fly. There’s 1GB of flash memory built in, for storing custom samples and synth libraries, plus a multi-channel USB audio interface offering 4-in/10-out channels from a single USB connection. It comes bundled with the Steinberg Cubase AI DAW, and the three models are available now. The Yamaha MODX6 has a MSRP of $1,649; MODX7 of $1,899, MODX8 of $2,399.